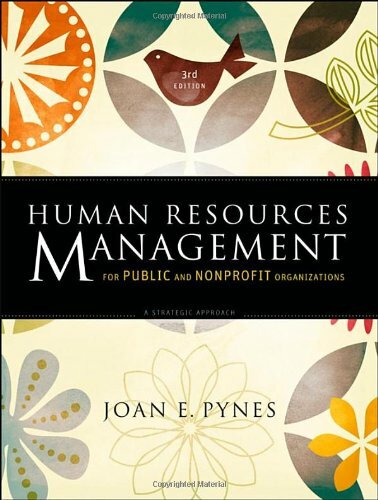 Public and nonprofit organizations face difficult challenges today that make the strategic management of human resources crucial. This book shows how to integrate HR practices with the mission of their organization. An accessible tool complete with an instructor s manual, this book provides an integrated approach to current HR concerns and is unique in its focus on both public and nonprofit agencies. Offering guidance and techniques for implementing effective human resource management strategies job analysis, performance evaluation, recruitment and selection, training and development, compensation and benefits, and collective bargaining Pynes demonstrates how strategic human resources management is essential to proactively managing change.